English opera, Russian paintings, and a celebration of a fruit with historical significance come together as a mixture of music, art, and food on this week’s calendar. 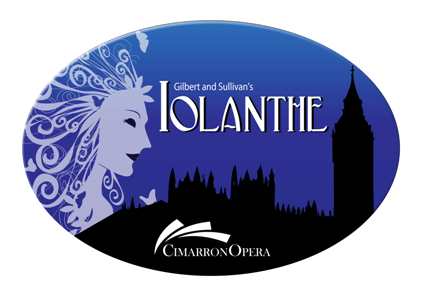 Gilbert and Sullivan’s “Iolanthe” comes to the Nancy O’Brian Performing Arts Center in Norman this weekend from July 6th through the 8th. Put on by Cimarron Opera, this performance of the classic operatic comedy tells the story of star-crossed lovers and a group of immortal fairies at odds with authority. Written in the late 1800s, “Iolanthe” is well known for being a satire of British government, law, and aristocracy. The cast comes from a variety of backgrounds; community, professional, and aspiring singers from universities around the state come together to bring the first fully-staged independent opera production to central Oklahoma since 2007. The Paseo Originals Art Gallery’s newest exhibit from artist Pavel Wang Yu Tsai opens July 6th from 6:00 to 10:00 p.m. during the Paseo First Friday Art Walk. “From Russia with Love” is a retrospective of whimsical fantasy art rich in metaphors. Divided into four bodies of work, the twenty nine mainly biographical paintings cover a wide array of subject matter from Biblical and Buddhist texts to puppetry and creationism. The gallery also holds an artist lecture July 7th at 3:00 p.m. Pavel Wang Yu Tsai’s art is on display through July 28th. Since the 1940s, McLoud has been celebrating the town’s cash crop, blackberries. The tradition continues this year during the 2012 McLoud Blackberry Festival on July 6th and 7th although the Blackberry Growers Association disbanded in the early 1960s. It has evolved into a celebration of agricultural history and America’s independence as it is usually close to the 4th of July. The weekend’s activities include a car show, poker run, baking contest, parade, softball tournament, auction, live entertainment, and the crowing of the new Blackberry Queen. Fireworks begin at 10:00 p.m. on Saturday to conclude the festivities. Benjamin Franklin talks about his early life in Boston and Philadelphia during Ben Franklin Live at the Oklahoma History Center on July 5th. Performances begin at 10:00 a.m. 2:00 p.m., and 7:00 p.m. The morning session is for children with activities to follow. Oklahoma Shakespeare in the Park continues its summer series with “The Tempest” beginning July 5th at the Myriad Botanical Gardens Water Stage. Performances of Shakespeare’s “supernatural” play written in the early 1600s continue through the 21st. The Oklahoma Composers Association hosts the 3rd annual Future of Music Symposium on July 7th at Sonder Music, Dance, and Art in Norman. Workshops discussing how technology, globalization, and the economy are influencing the way music is produced, distributed, and experienced begin at 9:30 a.m.